Motorola has reemerged as a leding smartphone maker ever since the orignal Moto X hit the scene in 2013. The Second Generation Model in 2014 raised the bar even further. 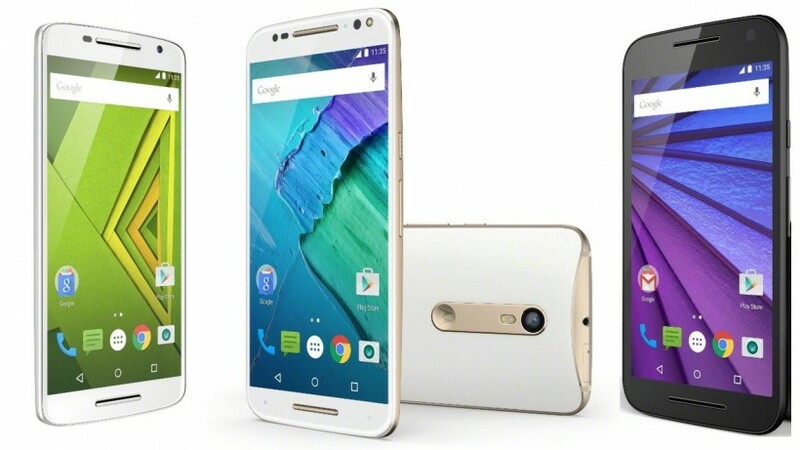 Now Motorola isn't just breaking the bar, its shattering it with not just one , but a pair of new Moto X phones. They're also bringing a brand new Moto G for the table with them. Let's take a peak. If you wanted everything good about the 2014 Moto X in Phablet form with a QHD screen and 64-bit CPU, your wish has been granted in the form of the Moto X Style. The screen is a 5.7" LCD display in 2560 x 1440 Quad HD. This is rather curious since previous Motorolas and the Moto produced Nexus 6 have employed Super AMOLED screens instead of LCDs. Powering the phone is a Snapdragon 808 MSM8992 CPU. This 64-bit SoC pairs two High end A57 Cores with four low end A53 cores. It also has Quadcomm's Ardeno 418 graphics processor. Essentially its a Snapdragon 810 with two less A53 Cores. The SoC is paired with 3GB of ram The case is 153.9 x 76.2mm with a curved back from 6.1 to 11.06mm in depth. It weights 179 grams. The styling is very reminiscent of the previous two Moto X phones, but with more metal accents including a metal strip down the center and back for the camera and log. The phone also has a water resistant coating. The most improved part other than the screen is the cameras. The back uses a 21mp sensor with a f/2.0 lens part capable of shooting 4k video at 30fps or Full HD 1080 at 60 frames. Its also capable of shooting 120FS slow mo and Video HDR in both 1080 and 4k. It also has a phase detect auto focus and dual color flash. If previous Moto cameras were lacking, this seems first class at first glance. The front camera is also rather impressive with a 5mp sensor with 1.4 micron pixels and also a f/2.0 wide angle lens. It also has a flash, slow motion, and a night mode. In man ways, the Moto X style's front camera is more impressive than the rear camera on the original Moto G. Selfies and video chat is no longer a second class citizen. Sound is also upgraded with front facing speakers. The rest of the IO is up to date with 802.11AC with MIMO, NFC, and Bluetooth 4.1 LTE is up to cat6 and the phone supports up to 14 different brands. In fact, Moto says the Pure Edition of this phone will work with every carrier in the US. There are two disappointing aspects of the Moto X Style. First, while there is an ultra fast charging mode called Turbo Charging, it still uses a Micro USB connector instead of USB-C. Second, despite Google adding native support in Android M, there is no fingerprint sensor in the Moto X Style. The Moto X Style in its pure addition form will ship this September for just $399. It will come in two standard models, 18 different Moto Maker backs, and 7 different accents. This version will come with pure Android and Motorola has promised you can use on any carrier, not just the two GSM carriers AT&T and T-Mobile. It'll come in 16, 32, or and 64GB versions, but you can also add up to 128GB of MicroSD. Pricing for carrier versions was not disclosed. 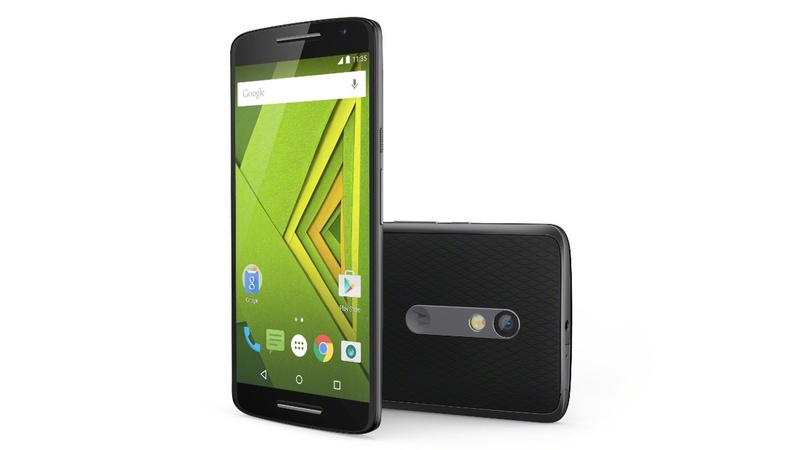 The Moto X Play is the midrange option. It features a 5.5" 1080 display though Motorola does not disclose wither its LCD or AMOLED. The phone borrows much of its look and features from its badder brother. The Chip is powered by two quad core 64-bit CPUs in a Mid-Low configuration with two sets of A53s and 1.7 and 1.0 ghz. It has 2GB of ram and Qualcomm's Adreno 405 GPU. It has the same 21mp camera as the Style, but without 4k capability, and also a 5mp sensor up front, though not with the bells and whistles. It also features NFC, AC Wireless, and BT 4.0. LTE is provided on 10 bands. Like other Moto phones, the Play has a pure Android experience. The Moto X Play will be available pretty everywhere other than the United States. Not initially at least. Curiously that also includes Canada whose wireless networks are designed for interoperability with the US. It'll come in 16 and 32GB version and like its big brother will also handle up to 128GB of mSD expansion. Motomaker versions will have 14 different backs and 7 accents. Colors will depend on market. The third announcement is Motorola's step up from entry level, the 2015 version of the Moto G. While its a very affordable phone, its got some features that were high end not long ago. It features a 5" 720 HD screen, again Moto doesn't say which type. At 294 PPi, this is very close to being a retina-type display. The phone is featuring a 64-bit Snapdragon 410 SoC with a quad core A53 CpU at 1.4ghz and a Adreno 30 CPU. The phone features a camera similar to the other two Motos in features, but with a 13mp part instead of 21. The front camera is 5mp and is also feature packed. Its even more water resistant than the others with a IPX7 rating. 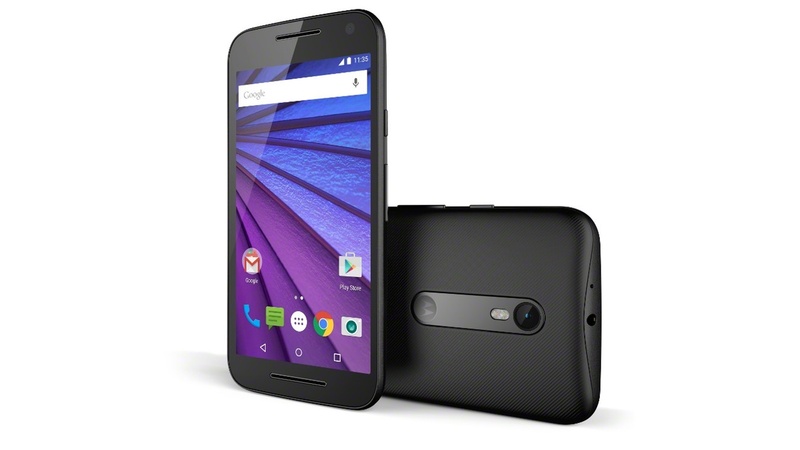 The Moto G now features standard LTE in 6 or 7 bands depending on the mode. What it is missing are the front facing speakers, NFC, and AC Wireless. Despite that, this is a lot of phone for the money. 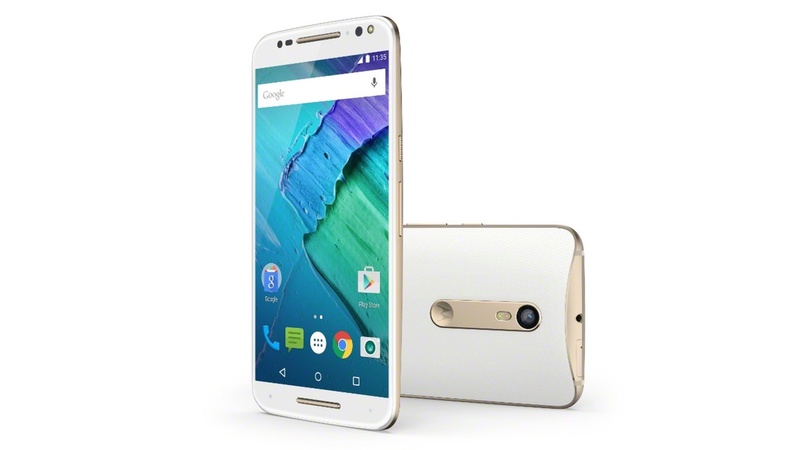 The 3rd Gen Moto X is $179.99 and shipping now. It comes in the black/ white standard colors and is now open to Moto Maker. It'll come in two sizes: 8GB with 1GB of ram and 16GB with 2GB of RAM. Both can take up to 32GB of mSD storage.